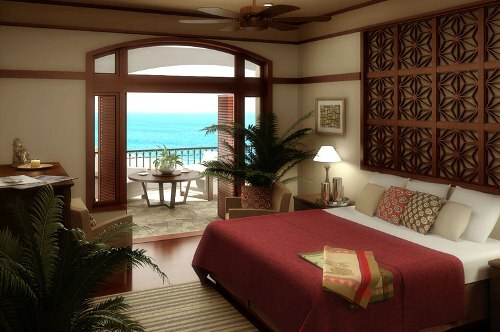 The first thing on how to arrange a bedroom for more space is by placing the bed in the right arrangement. 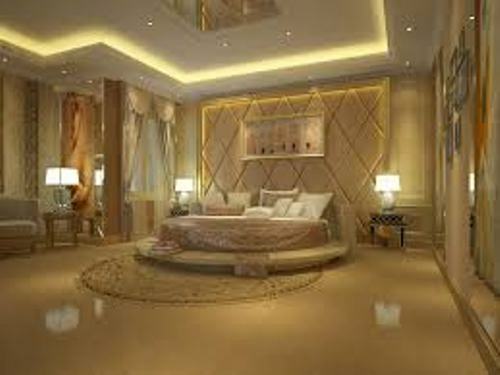 You can make the bedroom look ample with the bed frame against the main wall. Ensure that it will never bother the opening of the window and door. It is recommended for you to have the bed focusing on the door. The type of curtain used inside the bedroom also affects the roominess. You need to give more natural light inside the bedroom in the morning. 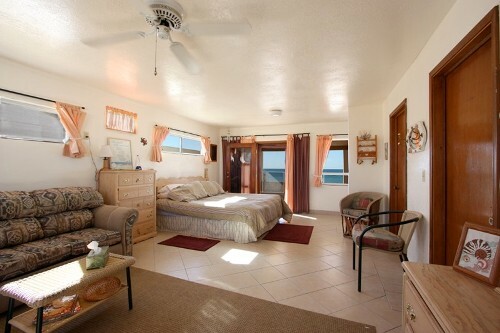 If the bedroom looks bright, it makes it look bigger. You can have the sheer curtain to install on the windows. It can maintain privacy without blocking the light. You can also choose blind, valance or shutter for the alternative of sheer curtain. If you want to give romantic look during the evening, you can add an internal lighting. It can give warm glow in the bedroom. There are many types of bed frames sold in the stores. To make the bedroom look bigger, you can choose the modular and compact one. A bunk bed is a good option if the bedroom is occupied by children. If the bedroom is used by adults, you can have a sofa bed that turns into a bed at night and into a sofa at daytime. 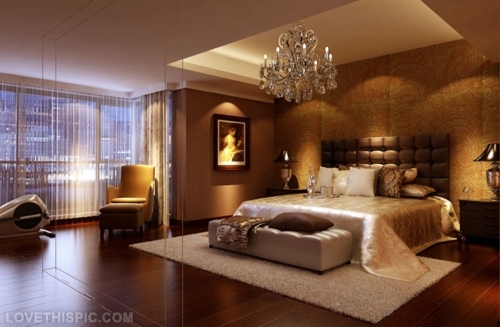 The big bedroom often looks smaller because of mess and clutter. You have to avoid it by re-arranging the items inside the bedroom. You have to eliminate the items that you do not need here. You can set a chest of drawers to hide the clutters. The walk in closet can be used to hold all accessories, dresses and shoes. Eliminate the decorative furniture at home. You can set at the functional furniture in the bedroom. Set a letter writing table with a chair. A nightstand can be placed near the bed. Set a table lamp for additional lighting in the room. 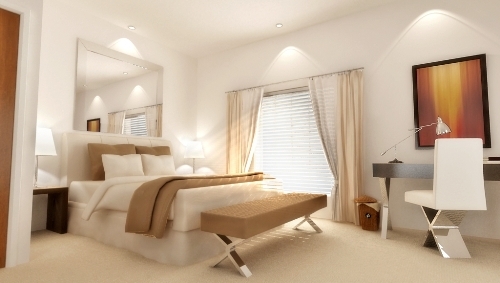 Do you want to add other ideas on how to arrange a bedroom for more space? How to arrange a small bedroom with a bunk bed will guide you to make the small bedroom interesting.